Superintendent Robert W. Runcie introduces the District’s new Chief of Safety, Security and Emergency Preparedness Brian Katz. 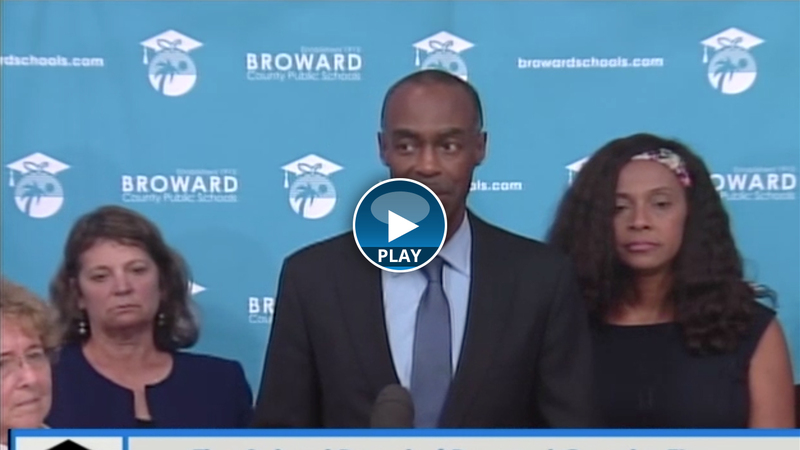 At a media briefing, Superintendent Runcie responds to media regarding social media threats. Wednesday, August 29, 2018, Broward County School Board members, Broward County Public Schools Superintendent Robert W. Runcie and the Broward Teachers Union held a news conference to thank the Broward community for its support of the Secure the Next Generation Referendum. The funds generated from the referendum will be available to the District beginning in the 2019/20 school year, and will provide increased compensation for teachers and school-related staff, additional school security staff at schools and essential programs for students, such as guidance counselors and behavior specialists. Superintendent Robert W. Runcie is joined by School Board members to discuss the District’s first day of the 2018/19 school year at the first day of school news conference. 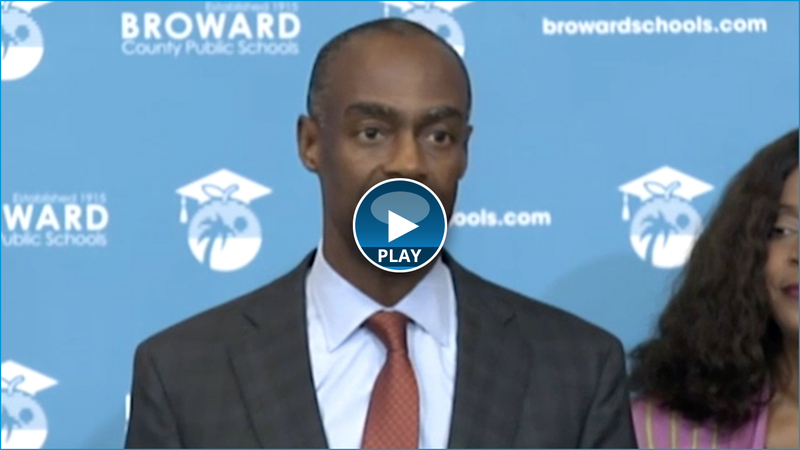 During a news conference on Tuesday, September 19, 2017, School Board members and Superintendent Robert W. Runcie thanked Broward County Public Schools (BCPS) staff and all those in the community who helped to make the reopening of schools on Monday, September 18, as smooth as possible. Superintendent Runcie also provided details regarding school operations following the storm.